2. I will live in the light (I emphasized sneaking or hiding things). 3. 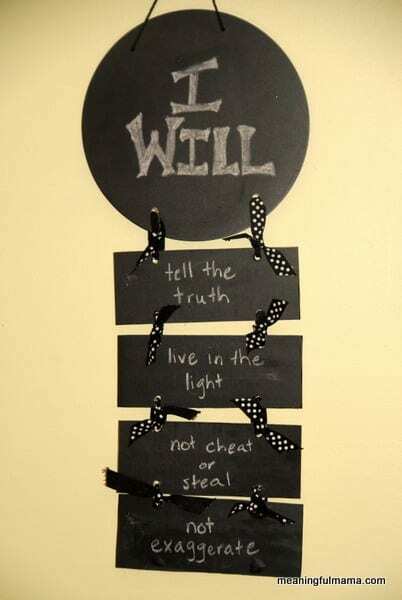 I will not cheat or steal. 4. I will not exaggerate.